New screenshots for Grow Up are released in addition to a discussion about the new look from Ubisoft artist Laura Hutton. There's also a sample from the sundtrack. Grow Up, which we first saw during E3 2016, has announced its official release date in August. Players who did not play the prequel, Grow Home, should still be able to jump right in. Will BUD ever find MOM, his parental spaceship unit? Find out in Grow Up, the sequel to Grow Home, a PS4 and PC exclusive from 2015. Grow Home was a success of sorts and removed from the typical Ubisoft formula. 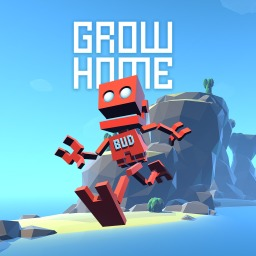 The first Grow game with trophies was Grow Home, which was developed by Ubisoft Reflections, published by Ubisoft and released on 02 September 2015. 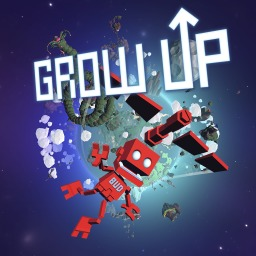 Since then there has been 1 more game in the series with trophies - Grow Up which was developed by Ubisoft Reflections, published by Ubisoft and released on 17 August 2016.